Back in April this year Rochford Street Review reacted with resigned shock at the axing of the Queensland Premier’s Literary Awards by the incoming LNP Government. It was “resigned shock” as really we didn’t expect anything better from a conservative government which could trace their roots back to Bjelke-Petersen. This action, which was supposed to save the Queensland tax payer a total of $244,475, was one of the first ‘slash and burn’ economic responses which have spread across Queensland over the last six months. Ironically it has recently appeared that, despite the economic gloom and doom which has seen funding to Arts organisations, slashed, thousands of public servants sacked and health and disability services downgraded, Premier Newman has managed to find a spare $200,000 to subsidise the latest incarnation of the reality TV show Big Brother. Rochford Street Review is not the first to note that $200,000 would have been enough to sustain the Premier’s Literary Awards. Despite Premier Newman’s disregard for the arts in Queensland, writers across Queensland and Australia rallied in the days following the announcement. 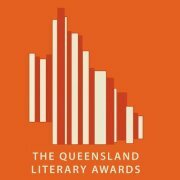 A small group from the literary and arts community decided to step in where Premier Newman was scared to tread and set up the inaugural 2012 Queensland Literary Awards. A fund-raising campaign was set up and over $30,000 was raised for author prizes and associated running costs. After months of hard work, most of it by an army of volunteers, the awards winners were announced at a glittering awards ceremony at the Queensland State Library. In the days lading up to the ceremony Queensland Arts Minister, Ros Bates, promised to “open discussions” with the organisers of the Awards to ensure they “continued into the future”. While we can hope I wouldn’t suggest holding your breath…..
Libby Gleeson & Freya Blackwood for Look, a Book!